"Never before in the history of man is it so important to emphasize the value of Lauric Oils. 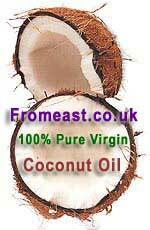 The medium-chain fats in coconut oil are similar to fats in mother's milk and have similar nutriceutical effects." Bruce Fife scores another winner! I couldn't put this new book down ... It follows hot on the trail of "The Healing Miracles of Coconut Oil" and is just as easy to read and has some wonderful recipes.